Livestock production should respond to societal, environmental and economic changes. Since 2006 and the ban on antibiotics as growth factors in European Union, the use of probiotics has become widespread and has demonstrated the effect of intestinal microbiota on the performance of farm animals. 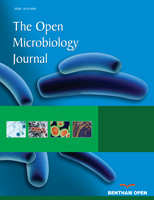 The aim of this study was to investigate the effect of supplementation with Lactobacillus salivarius (as a probiotics strain or combined with other strains) on zootechnical performance, metabolic and immune gene expression and intestinal microbiota diversity in mule ducks using high-throughput sequencing and real-time PCR. The mule ducks were reared for 79 days and overfed for 12 days with or without probiotics. Samples were collected at 14 (starting period) and 91 days (end of overfeeding period), 3 hours post feeding. Irrespective of digestive content, age, level of feed intake or supplementation with probiotics, Firmicutes, Proteobacteria and Bacteroidetes were the dominant phyla in the bacterial community in mule ducks. At 14 days, both the ileal and cecal samples were dominated by Firmicutes (in particular the Clostridiales order). Overfeeding induced a shift between Clostridiales and Lactobacillales in the ileal samples whereas in the cecal samples, the relative abundance of Firmicutes decreased. Overfeeding also induced hepatic over-expression of Fatty Acid Synthase (FAS) and of the lipid transporter gene Fatty Acid Binding Protein 4 (FABP4). This increase in lipid metabolism genes is associated with a decrease in inflammatory response. Finally, probiotic supplementation had only a slight impact on gene expression and microbiota diversity, both at 14 days and after overfeeding. Keywords: Duck, Intestinal microbial diversity, Overfeeding, Probiotics, Lipid metabolism, Immune gene expression. © 2018 Even et al.